What happened? On day 29 of the open demand, the insurance company agreed to pay their insured’s policy limits. It was a good outcome for my clients, but one that really should have come months earlier and without the added expense and stress of litigation that the insurance company forced my clients (and their own insured) to endure. What if the insurance company had not agreed to pay their policy limits within the 30 days? I and my clients would have then gone to trial and I am confident the jury would have rendered a verdict well in excess of the policy limits they paid. But the defendant, the insured under the policy, had no assets and couldn’t possibly pay any verdict over his insurance limits. But in this scenario, where the insurance company had an opportunity to pay their insured’s limits (which their insured had been paying premiums for, by the way) but had refused to do so and then allowed an excess verdict to be obtained against their insured, the plaintiff then has the recourse of filing another lawsuit against the insurance company directly, not its insured, for the insurance company’s bad faith refusal to settle a clear liability case. Fortunately, in my case, the insurance company ultimately, after being force in litigation, did the right thing for my clients. But this is not always the way it goes. Take, for instance, the case of Camacho v. Nationwide Insurance Co., ___ F. Supp. 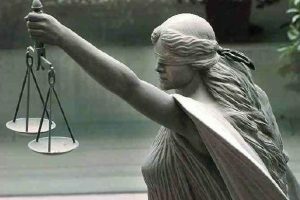 3d _____(N.D. Ga. 2016) currently pending in the 11th Circuit Court of Appeals. In Camacho, Stacey Camacho was killed in a car wreck that was clearly the other driver’s fault. The at-fault driver, insured with Nationwide, had only $100,000.00 in policy limits. This is a situation in which it is well known that any verdict rendered in a clear liability car wreck wrongful death case will be well over $100,000.00. Nationwide certainly knew this. Yet Nationwide chose not to pay their insured’s limits of $100,000.00 on the wrongful death claim. In fact, before the Camacho family had a lawyer involved, Nationwide attempted to settle the case for less than policy limits. Yes, that’s right, on a death claim. Once the family had a lawyer, that lawyer made a demand for their insured’s policy limits. Nationwide refused to pay. The District Court noted there was ample evidence of bad faith on the part of Nationwide: “Without going into all the evidence at trial, the Court notes there was certain evidence from which the jury could infer that Plaintiffs were being jacked around in their settlement negotiations giving Nationwide’s conduct the flavor of bad faith. For example, as noted above, prior to Mr. McAleer’s involvement, Plaintiffs testified that Sharon Wilson attempted to settle the wrongful death and estate claims for less than the $100,000 policy limits despite her determination that Park’s liability was clear and that the damages far exceeded the value of the policy. Wilson’s claims log also reflects that she requested authority to settle under a limited release but that Nationwide was requesting a general release. (Trial Transcript Doc. 186 at pp. 185, 232-33.) When questioned about her request for authority to settle under a limited release, Wilson stated that must have been a typo and that the log entry should have read general release, though she never made any attempt to correct this alleged error in the log. (Id. at 185–86.) Wilson also testified that the requirement of a general release was a directive from her superiors. (Id. at 266. ).”Camacho v. Nationwide Mut. Ins. Co., 1:11-CV-03111-AT, 2016 WL 3059833, at *5 (N.D. Ga. May 25, 2016). The case went to trial, and the jury delivered a verdict for the full value of the life of Stacey Camacho in the amount of $8.1 Million. That’s correct…$8 Million over their insured’s policy limits. Nationwide is now appealing this, even though it was the result everyone involved anticipated and even though it was Nationwide’s own stubborn, litigious behavior that caused it. Remember, the adjusters of Nationwide are sophisticated litigants, well trained and knowledgeable about the range of wrongful death verdicts in Georgia. Nationwide had its opportunity to pay $100,000.00, eliminate any further stress or exposure on its insured, and cut off any potential exposure Nationwide itself had for its bad faith refusal to settle, but it didn’t take it when it was presented to it. Now Nationwide may be on the hook to pay the full judgment of $8.1 Million for refusing to settle when it should have. Does that seem like a just result? To this plaintiff’s trial lawyer and I am sure to the Camacho family, it does. I’ll keep you posted on this case as it is heard and decided in the 11th Circuit. Stay tuned.